The location was perfect. View is breathtaking. We can't get enough. Love everything about this villa. Our room is so beautifully arranged. The location is great. I loved the location, and the room was amazing! Only complaints were water should have been put back every morning, but otherwise a really cool place! The steps were wicked so not for the unstable or terribly elderly. Excellent views, helpful staff and great service. Excellent location! Breakfast was delicious and good options. Rooms were small, but really clean. Property is awesome and very classic santorini set up- lots of steps! View is incredible and overal a perfect stay. Would def come back! Beautiful room, spectacular view, friendly and accommodating staff! We loved every minute of our stay here! Highly recommend it! Views, employees, location, pool, cleanliness all amazing!! Excellent location. Beautiful area, especially for sunsets. This is a beautiful hotel built into a steep hillside with beautiful views of the rest of the island and the bay. The staff is very friendly and helpful. The bed was comfy. The room was quiet. Breakfast was quite good, served buffet style, and eaten at tables with fabulous views. The pool is small but clean and refreshing with several lounge chairs. The location - on a quiet hillside with easy access to lots of restaurants and shops - is fabulous. Wonderful clean accommodations with comfy king bed, equipped kitchenette, laundry, balconies, rooftop patio, and art everywhere. Lock in a great price for Caldera Premium Villas – rated 8.6 by recent guests! Located in the center of Oia, on the cliff, Caldera Premium Villas overlook the volcano and feature a swimming pool and accommodations with Cycladic décor. Room balconies offer caldera and Aegean Sea views. Rooms, studios and suites combine local architectural style with modern comforts, such as free WiFi and satellite TV. Caldera Premium Villas features a sun terrace and a swimming pool. Guests can enjoy a buffet continental breakfast daily. Staff can arrange motorbike and car rental and offer traveling advice. Armeni beach is a 10-minute walk from Caldera Premium Villas. The bus station, bank, restaurants and shops are a 2-minute walk. Free public parking is possible at a location nearby Caldera Premium Villas. 뀐 Located in the top-rated area in Oia, this property has an excellent location score of 9.0! When would you like to stay at Caldera Premium Villas? Opening to a private or semi-private balcony or terrace with views over the Caldera, volcano and Aegean Sea views, this air-conditioned studio includes a satellite TV and kettle. Featuring a private or semi-private balcony or terrace with Caldera, volcano and Aegean Sea views, this open-plan studio includes a satellite TV, kettle and air conditioning. Opening to a balcony or terrace with Aegean Sea, volcano and Caldera views, this suite includes a satellite TV, kettle and air conditioning. Some suites are in open-plan format. Opening to a balcony or terrace with Aegean Sea, volcano and Caldera views, this traditionally decorated suite comes with air conditioning and a mini fridge. It offers a living room with a satellite TV, and a bathroom with free toiletries and a hairdryer. Free WiFi is provided. Featuring a balcony or terrace with Caldera, volcano and Aegean Sea view, this suite has a private hot tub. Facilities include a satellite TV, a kettle and air conditioning. The allocation of the room will be made at check-in, according to availability. Please note that during your stay room change might be required. Rate includes free enriched continental buffet breakfast, all taxes and maid service. Featuring a private balcony or terrace with Caldera, volcano and Aegean Sea View, this suite includes a bedroom with a king-size bed and a private hot tub. More facilities include a satellite TV, air conditioning and a kettle. Some units come in open-plan format. 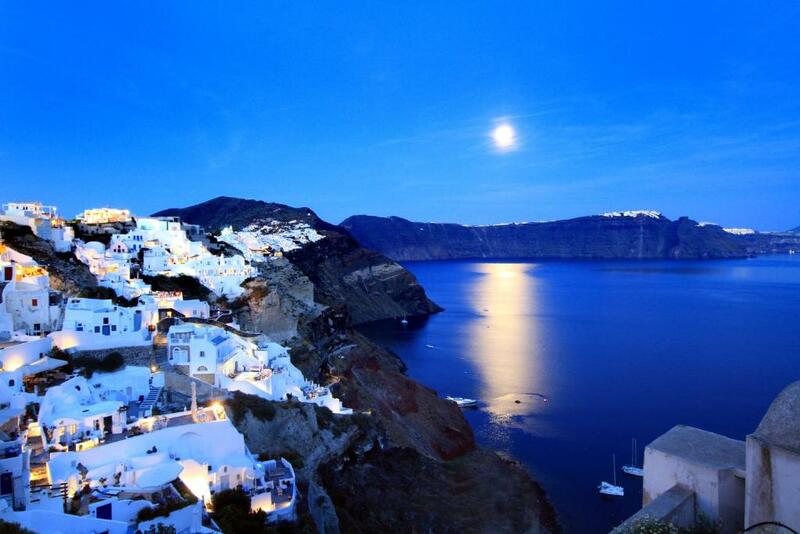 Built on the cliff, Caldera Villas offer unbelievable views of the volcano and Aegean Sea. House Rules Caldera Premium Villas takes special requests – add in the next step! Caldera Premium Villas accepts these cards and reserves the right to temporarily hold an amount prior to arrival. In order to check-in at Caldera Villas, guests should carefully read the check-in procedures provided by Caldera Villas once the booking has been confirmed. Please note that room photos represent only the type of the room. Consequently, there is no guarantee of providing you with the exact same room shown in the photos. Please note that for group reservations of more than 6 rooms, different policies and additional supplements may apply. Staffs very friendly. Roberto the porter very helpful, takecare of our luggage from the transport pt to our suites. Must be over 100+ steep steps. Sunshine and Dimitri help us on our transport and rental car arrangement. The hotel even touch up our room when we arrived and left us a complimentary wine for our anniversary. Amazing view，I will reconnent this hotel to my housefriends. Beautiful view. Can see the blue dome church from the swimming pool. Staff are both friendly and kind. Very nice place to stay! The stay in Caldera Premium Villas was exceeded our expectation!! The villas’s staffs are so friendly & helpful, and of course our Cave Superior Studio with Caldera & Aegean Sea views!! And not least, thank you so much for the complimentary white wine for our honeymoon trip!! The breakfast must be improved. Not too much types of food, fried chicken nuggets like rocks and no indoor restaurant. If your room does not near the pool area, you would have breakfast in windy environment. Generally, the quality of breakfast was not proportionally with the accommodation fee. The location is amazing! Such incredibly beautiful views and very central location. The staff were so lovely! Really enjoyed our stay and would recommend to stay here. A beautiful stylish and private hotel front that faces the caldera. Problem with our private Jacuzzi, and disappointed nothing was credited back to us for the inconvenience. 1)Characterful, cave-like room with comfortable bed and ambience. 2)Safe in room not working on arrival but whole safe replaced within a few hours. This was impressive, as was the compensation for our inconvenience with a bottle of wine. 3)Very good value for Oia at the rate we paid.